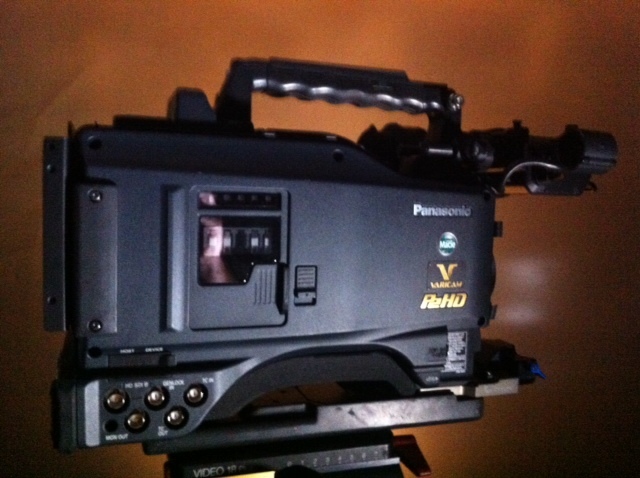 The Panasonic AJ-HPX3700 VariCam Camcorder is a high-end professional camera meant to replicate the warm and natural look and texture of film. Featuring a variable frame rate from 1 to 30 fps, in 1080p, this camera enables you to easily under or overcrank your shooting for creative fast and slow motion effects. 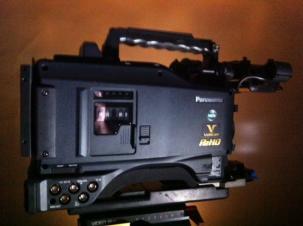 This camera's native effective resolution is 1920 x 1080 and features 3x 2/3" 2.2MP CCD sensors for high quality imagery. 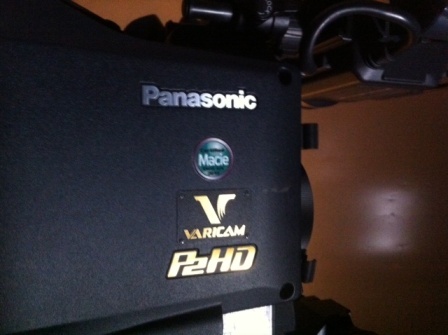 This camera also features 2 HD SDI output terminals for creating a dual-link output for RGB4:4:4 video with a 10-bit Log (P-10Log) gamma curve. An F10 sensitivity supports low-light photography at 2000 Lux and a minimum illumination of 0.042 Lux. Recording is possible in AVC-Intra 100, AVC-Intra 50, and DVCPRO HD; 4:2:2 full raster sampling is supported in the AC-Intra 100 format. imagery. Both progressive and interlaced formats are supported, with 1080/23.98p, 24p, 25p, 30p as native formats as well as 1080/60i, 50i. 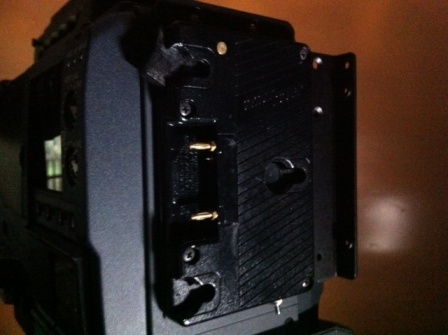 A high F10 sensitivity at 2000 lx is also available, allowing low-light filming as low as 0.042 Lux illumination. The 2 HD SDI output terminals work in conjunction to create dual-link output and can output HD imagery with RGB 4:4:4 quality and the 10-bit Log (P-10Log) gamma curve. 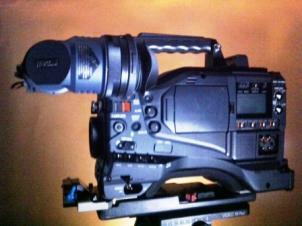 This is ideal for creating high-end film productions when using an uncompressed recorder. With the ability to photograph at 1 to 30 frames per second, this camera provides a variety of under andovercranking possibilities to produce slow and fast motion effects. This range of frame rates is available in the native formats. playback at the chosen speed rather than having to use a frame rate converter. P2 recording time is also extended when using the native mode. The AVC-Intra codec is a high quality and equally efficient codec for HD video production. Two modes are supported: AVC-Intra 100 for full HD (1920 x 1080) images and AVC-Intra 50 for lower bit-rate, more economical recording. Both modes are compliant with the MPEG-4 AVC/H.264 standard for compression and image quality. These modes record with intra-frame compression for greater versatility when editing. AVC-Intra 100: This mode records with the same 10-bit rate as DVCPRO HD and enables high quality 1920 x 1080 recordings. AVC-Intra 50: This mode produces results similar to DVCPRO HD, but with bit rates that are more akin to standard definition recording. When recording in this mode you are afforded twice the amount of recording time per P2 card and less storage is required for editing. 48 kHz/16-bit digital audio recording is supported on all 4 audio channels; and you can easily select the audiosource for each channel independently. A 5-pin XLR jack with 2-channel compatibility is used for the front mic input. When all 5 P2 card slots are utilized, up to 800 uninterrupted minutes of 1080/24p content can be recorded. 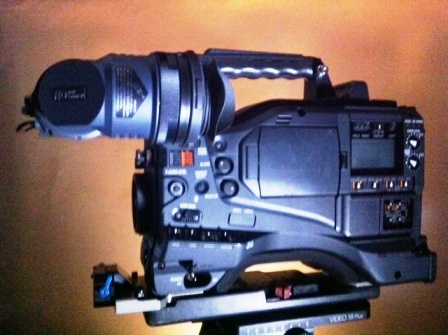 Other benefits of P2 card recording include the opportunity to switch cards while recording; select specific cards to record to; loop recording to specific, fixed areas of the card; pre-record up to 8 seconds when in standby mode; record intermittently based on set interval times; one-shot recording for use when filming animations; and record review for a quick playback check of the final seconds of the recently finished clip. to have accessible by pressing a button. layer (3200K, 4300K, 5600K, and 1/2 ND). By having the 1/2 ND filter on the CC layer, finer aperture adjustment is enabled. Built-in SMPTE time code generator and reader with TC in/out terminal. Genlock input terminal doubles as an HD-Y and VBS return video. Compatible with UniSlot wireless receivers.